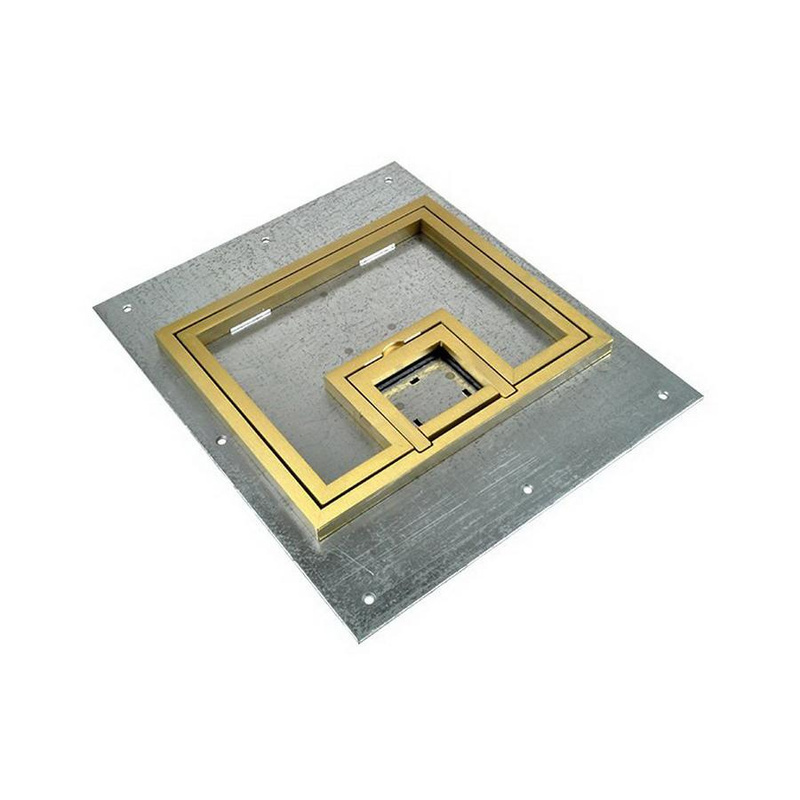 FSR FL-500 Series U-Access cover with 1/2-Inch brass square flange, is suitable for using with FL-500P floor box. This rectangular cover in brass finish, features 11-gauge steel construction. It measures 10.5-Inch x 0.125-Inch x 12.5-Inch. Cover has 0.5-Inch or 0.25-Inch high mitered brass or aluminum carpet edging. Lift-off full access door and stainless steel compression latches ensure the things inside the cover safe. Cover with leveling feet installs well in carpet or tile and wood floors. It is ideal for conference rooms, auditoriums, courtrooms, churches, concrete floors, power, audio, video, telecommunications, data in one elegant and practical box. Cover is UL/cUL listed.